We have finally received Allie's blood work results for her preliminary mito testing. 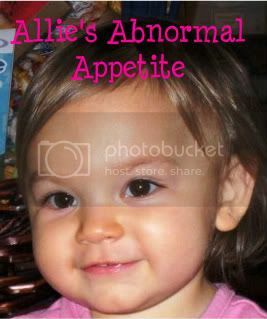 Allie underwent genetic testing for TYMP mitochondrial gene testing as well as the whole mitochondrial genome testing. All of her test results are entirely normal. With these results, the doctor obviously doesn't want to do any further testing for mitochondrial disease. This is a huge relief for us, however with normal results, it leads us right back to square one. 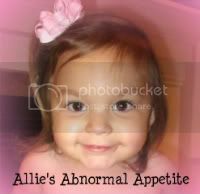 Allie's Geneticist wants to see her again in a year and they also have another metabolic Geneticist that would like to see Allie. They have some possible additional testing they would like to do but it's nothing urgent so they will plan to do it next April. It's been a while since I have updated Allie's site. Seems as if life is just going bye too fast and there isn't time to fit everything in. Allie's health is continuing to be good. She is still struggling with her weight - still weighing in at 26.6 pounds. She is eating maybe half of her food by mouth but it's sporadic of course. Some days she does really well and other days she won't eat anything. She's getting into a habit recently to just ask for tube feedings because she says she doesn't like the food. She will take one bite of something then say she doesn't like it. It's frustrating but we are just continuing to be thankful we have her feeding tube to keep her healthy. No upcoming doctors appointment for Allie in the near future. We are letting Allie enjoy her summer and trying to keep her away from the doctors as much as possible. She is enjoying camping, our cottage, swimming and playing with her friends. With the hot weather lately, Allie much prefers to be inside in the air conditioning. Allie doesn't handle the hot and cold weather real good. Overall, everything is going well. Allie continues to be my spunky little girl. Allie graduated from 3 year old Preschool. My little princesses! Here is our new puppy Cosmo. She is a 10 week old yellow lab. She fits into our family circus perfect!!! !